Travelling in and out of the UK is easy, with daily flights to and from nearly every major international city. Budget airlines like Easyjet, Monarch, Ryan Air and Thomsonfly, fly to most European countries. The cheapest flights are usually very early in the morning or late at night, on weekdays, as opposed to at weekends and will tend to be from airports located a little further out from the city's main airport. Another great way of finding cheap flights is searching in a database. After filling in the date that you would like to travel and the place you would like to visit it will show you the cheapest flights available from different airlines. Booking a flight this way can save you a lot of money. You can save money by booking flights early and not leaving it until the last minute. The best fares and options can be found about 12 weeks before your travel date, but sometimes airlines will randomly advertise £1 fares (Yes! Only £1!! ), where all you do is pay the tax on that ticket. Be Careful! There are often lots of hidden costs that the cheaper airlines try and get you to pay on top of the headline prices, such as paying for your seat, luggage and onboard drinks. If you are travelling abroad, organise an airport transfer from the airport to your hostel before you leave. Check to see what forms of public transportation will be available to you when you arrive. Do not leave it until the last minute; you may end up with limited and very expensive options. Most airports have excellent connections with public transport, so even if it is far from you, it is still possible to get there. Specialized bus services offer airport transfers to all Greater London Airports for incredible prices. Pick up areas are available all over London for your convenience. When you arrive at Gatwick airport, getting to central London can seem confusing. You can book a National Express coach transfer using their 24-hour coach transfer service to get into London for just £8. National Express provide a 24 hour service from Heathrow directly to Victoria in central London in just 50 minutes. Book online now for just £5 and get sent a ticket by email to print off. Stansted is not as close to London as most people think. To make things as simple as possible for you, be sure to book your journey to and from the airport using National Express's 24 hour coach network for just £10. Although there are several regular train lines that stop at airport terminals, a few train services are dedicated solely to airport transfers. These services are direct and may save you a few extra minutes. Faster and more convenient than a coach, the Gatwick Express train departs from the airport every 15 minutes and will take you to central London in half an hour. Book in advance and pay just £18.90. The Heathrow Express train transfer is a little more expensive than a coach but is quicker and will get you into Paddington in 15 minutes. Book online before you arrive for just £18 and get a ticket emailed to you. With trains coming every 15 minutes and the journey into Liverpool Street in central London taking 45 minutes, the Stansted Express transfer is quick and easy. Slightly more expensive than a coach, but much faster. Sometimes, taking the Tube or the train is not an option when you are trying to get to Gatwick or Luton late at night or early in the morning. You can book a Mini-Cab to pick you up at the airport. You will be charged a flat rate, plus parking fees and any waiting time, so be sure to let the Mini-Cab operator know if your flight is running late. If you are travelling in a group, check to see how many cabs will be necessary. Always chose a Mini-Cab company near your destination. Avoid the hassle of a train or coach transfer and travel in luxury from any London airport. Your own personal chauffeur will meet you at the airport before driving you straight to your destination of choice. When looking at destination cities, try booking to non-major airports, which can lead to more money in your pocket. Do not over pack! Travel light and save money: Most budget airlines now charge for any checked luggage, carry-on luggage and any kilo that exceeds the weight allowance. Be sure to check this with the airline in advance, as this varies from flight to flight. It is also a good idea to bring a snack with you on the flight: In-flight service is not free on budget flights and now more recently on most flight between the UK and Europe. Remember, liquids are not allowed through the security checkpoints! Check that you have all of your travel documents: You will not be allowed to board your flight if you do not have the proper immigration visa required for your destination country, so be sure to have all your paperwork filled out properly and have your valid passport (must be valid for at least 6 months from date of travel) ready. 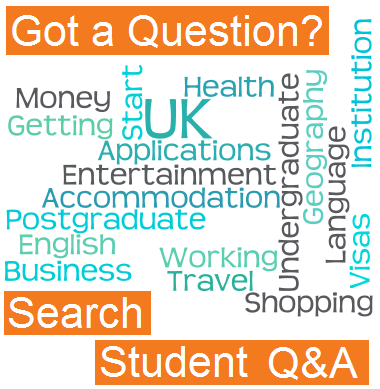 When you travel, take a letter from your university or institution that proves you are studying in the UK with you: If you are here for a short time and you have already booked your flight home, take a copy of that itinerary with you as well, as immigration officials often ask for proof that you intend to leave the country after your studies.